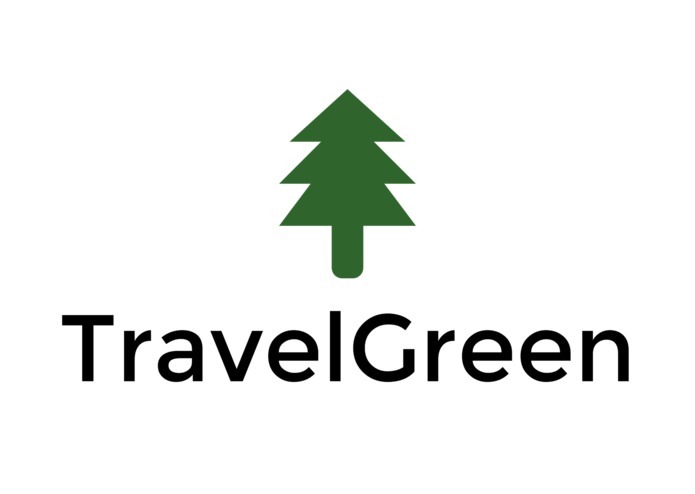 TravelGreen is safe and simple way to offset 100% of the carbon you create from your Uber rides. In an age where data is everywhere, you shouldn't have to go searching for a wonky 'carbon calculator' to determine your emissions, it should be pushed to you and backed by real data. TravelGreen does this. It connects your Uber mileage to a trusted algorithm that allows you to purchase the exact amount of verified carbon offsets needed to offset your Uber history. My target user is any Uber rider that wants to reduce their impact on the environment. The core demographic of Uber - millennials - is the same demographic that will be saddled with the responsibility of reversing climate change in the coming decades, and it's small donations at scale, that platforms like TravelGreen can provide, that could move us towards a more carbon neutral lifestyle. Finally, I'm most proud of the reactions from my users. They are grateful for the service. Because you can tie your exact travel behavior to your exact emissions it doesn't feel like giving to a charity, it feels like you are doing your duty for future generations. I'm so encouraged by these user reactions that I'm currently expanding TravelGreen. 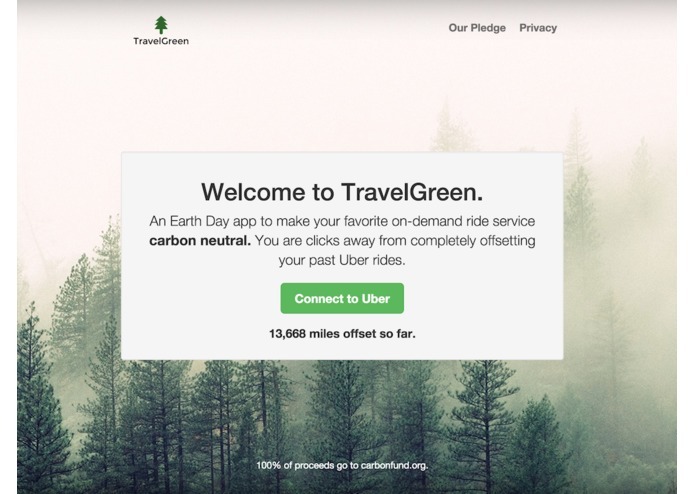 I am building a subscription service, so that you don't have to return to TravelGreen every time you want to offset your Uber rides, we'll keep track of your mileage for you, and automatically purchase carbon offsets on your behalf either monthly or quarterly based on your ride profile. So far TravelGreen has offset 13,668 Uber miles. I'm very proud of this, but in order to make a real difference we need add many more zeros to the end of that number. Uber could do this overnight. They say 'imitation is the sincerest form of flattery,' so Uber, please feel free to take this idea and integrate the TravelGreen algorithm directly into the platform!